I was surprised by a HUGE spike in visitors the last two days. 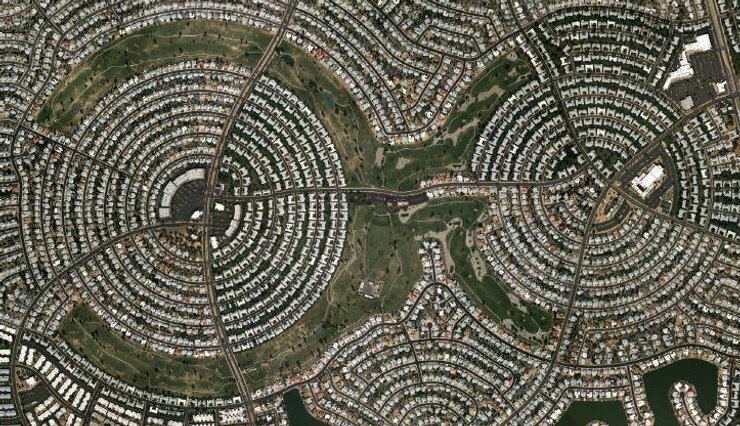 It was thanks to the blog "Deputy Dog" , which did a fantastic post on circular communities viewed from the air. It cited my Round vs Rectangular Houses post I wrote earlier this year. Look at those beautiful communitys. A round shed, A round house, A round yard, A round subdivision, A round community, A round school, A round town, A round road, A round country, A round continent, A round World, A round Solar System, A round Galaxy-- In A Round Universe! I am Happy! Now we are all around!